With passive solar greenhouse heating you can extend the growth season. Plant breeding and plant production is a good way of contributing to the environment. The best way to sustain this endeavor is to get a solar greenhouse. The purpose of any greenhouse is to collect solar energy whenever the sun shining high. However, solar greenhouses serve a more specific purpose. It is able to do more than collect the solar energy. The solar passive greenhouse is able to store heat that can be used during night time, cloudy days or the cold season. It provides adequate heat that the plants will need for their growth even during the night time or the cold seasons. 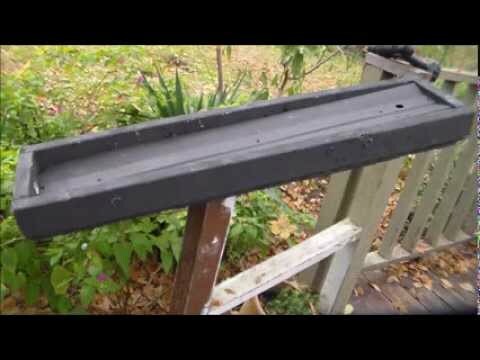 The passive solar greenhouse heater. This is one main feature in designing a zero energy glass house. To remain warm even during cool nights, there must be sufficient amount of solar heat stored. One common method used to store this energy is to put rocks or concrete directly receiving the sunlight to absorb the heat. Cinder block walls at the north side of a greenhouse are also used as good greenhouse heating. Dark-colored ceramic flooring’s can also be used to store the heat. Any wall or flooring not used for heat absorption is supposed to be colored light. This should be designed to reflect the heat and light and distribute it to the plants. The management of a greenhouse can also determine the amount of heat stored. A greenhouse that is full of plants and structures can store heat easier compared to an empty one. Composts can also complement the heat storage goal as they help produce carbon dioxide in the atmosphere. Furthermore, the microorganisms in the compost also contribute to the increase in plant production. DIY solar heaters for greenhouses. Place whatever container available in a place where it will receive the most sunlight throughout the day. You can use anything from 55-gallon plastic containers, single gallon jugs or paint buckets, the bigger the better. Paint them black and fill the vessels three-quarters with water and seal tight. As night comes and temperatures drop, the heat captured emanates from the water in the vessels and will warm the greenhouse even in winter. Here you find design guides for sunspaces and greenhouses. Anyway a constant monitoring of weather conditions is advisable, you can always use row covers to protect your plants at night if temperatures drop significantly. Unlike the ordinary ones, these hothouses have oriented glazing to get utmost solar heat, even during winter. Its materials are designed to minimize loss of heat. It uses heat storing materials. It also has insulation especially useful when there is no sunlight. The passive greenhouse also depends heavily on natural ventilation for cooling during summer. You will spent less on materials and labor by building a lean to or attached greenhouse against the side of your home than to erected a four-sided freestanding greenhouse. Easy access to your home’s electrical and plumbing systems is a significant bonus too. South or south-west is the perfect orientation. If gardening is your hobby, greenhouse growing will interest you. With a solar greenhouse, you can have the earliest tomatoes and salad greens all year. You can also start seedlings for the main garden early in the spring when outdoor temperatures would kill them. A passive solar greenhouse can be a good investment. Solar energy can provide electricity, hot water, warm pools, and even energy for cooking. More on the facts about solar energy.